Your customer’s onboarding journey can define the kind of relationship they will have with your business going forward. A poor customer onboarding experience will dramatically decrease their likelihood to renew within the first year. 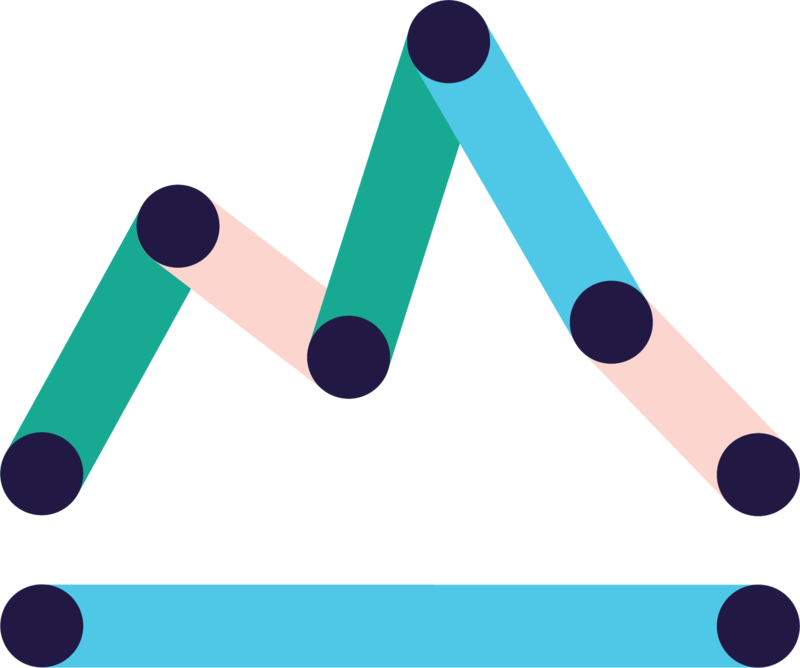 By contrast, a successful, scalable onboarding process leads to happy customers, increased satisfaction, higher retention and upsell - all of which are critical to a recurring revenue business. 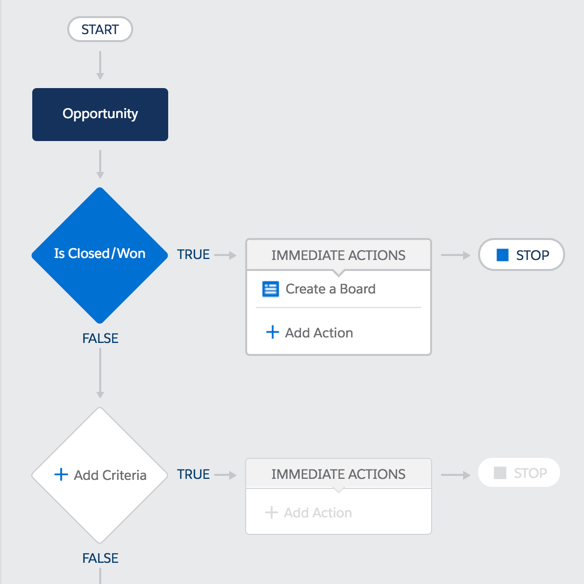 Onboarding plans are created based on activity within Salesforce. 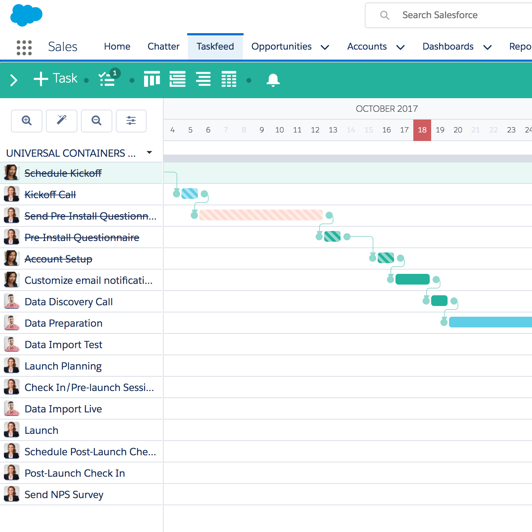 Your onboarding plan will be created based on playbooks which are mapped to customer segments, products, or your own criteria within Salesforce. Keep your customers in the know throughout the entire process by sharing your onboarding plan straight from Taskfeed. No more sending a spreadsheet back-and-forth every time the plan changes. Your onboarding plan is scheduled automatically. 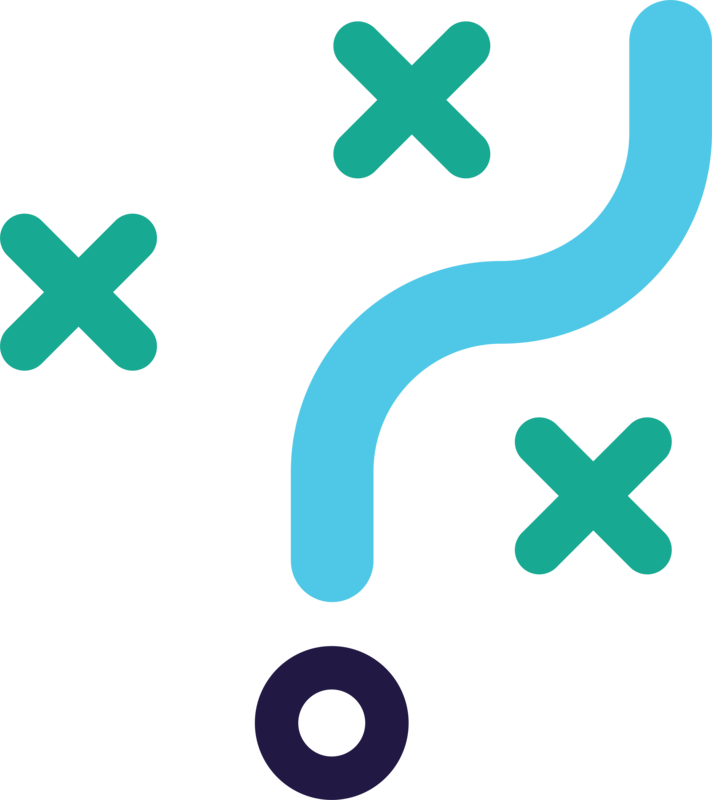 Set a baseline to track how your team is delivering against your commitment to the customer. 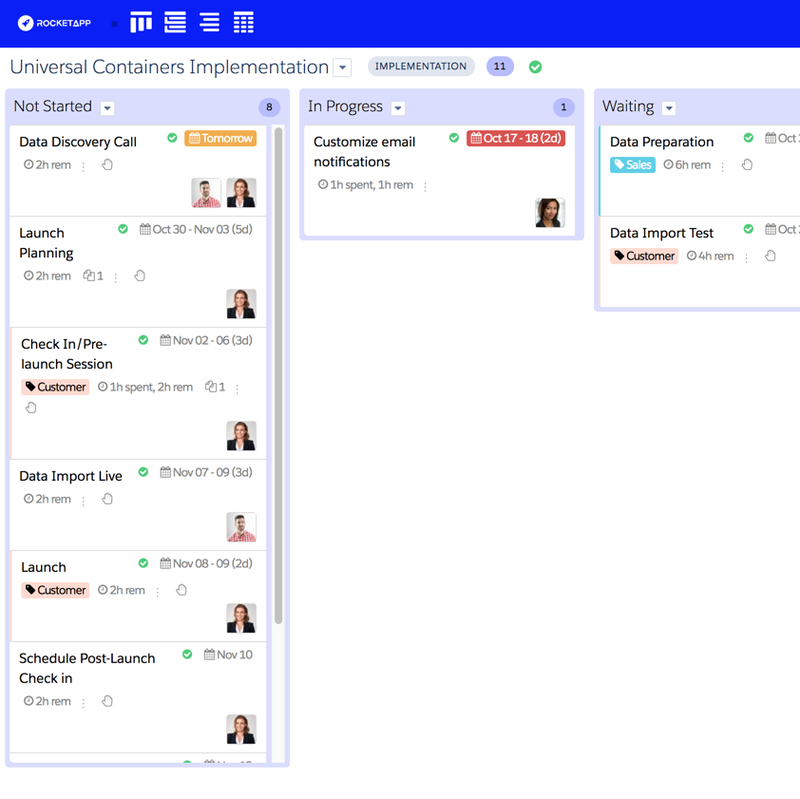 As the plan changes Tasks are automatically rescheduled based on the dependencies defined within the templates. Team members are notified in real-time when Tasks are ready to work on based on their predecessors being completed. Keep your customers in the know throughout the entire process by sharing your onboarding plan straight from Taskfeed. It’s as easy as sharing a link. They’ll have access to the plan which is interactive, always up-to-date and customized to your brand. No more sending a spreadsheet back-and-forth every time the plan changes. 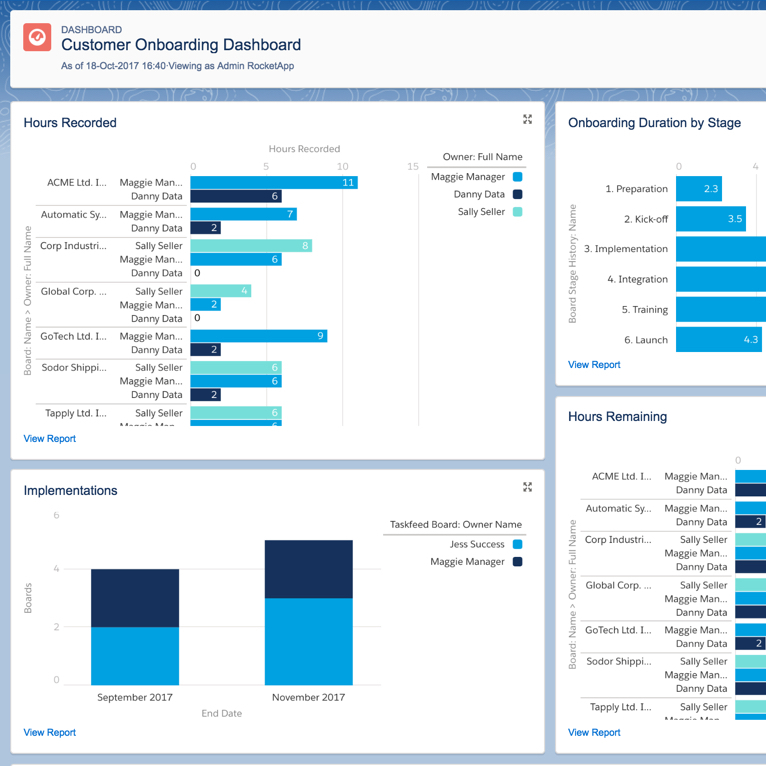 Keep on top of key metrics with pre-built reports and dashboards. Gain the visibility you need across your team and for all customers. Extend and customize reports to include information that is relevant to your business. When you are working from spreadsheets, email, or some disconnected app it's hard to keep on-top of every customer while making sure those important steps are followed and tracked. 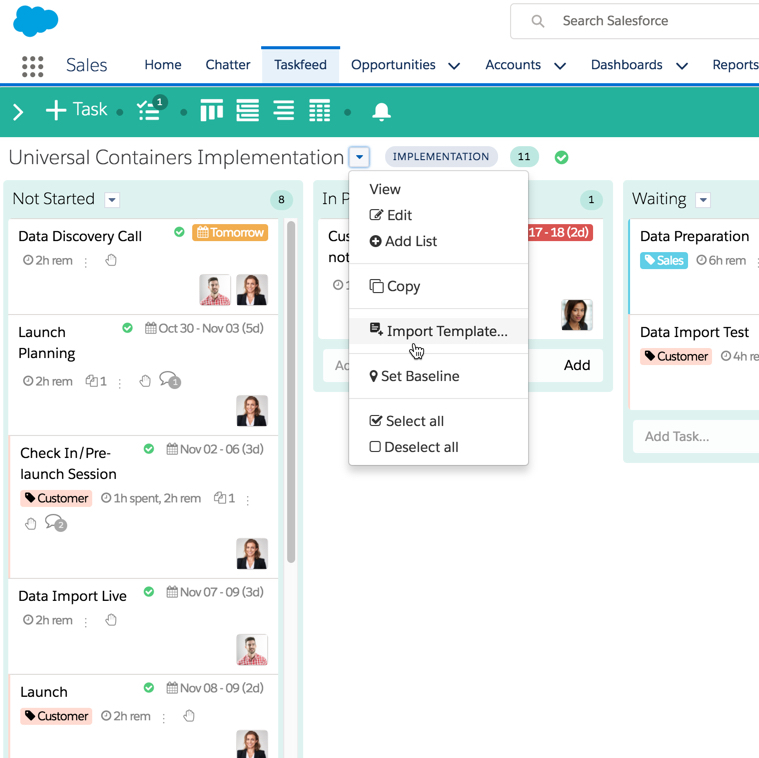 Taskfeed is built to help teams, like yours, manage repeatable customer onboarding projects directly within Salesforce so everyone is on the same page, in the same app. Taskfeed is built entirely on the Salesforce platform. 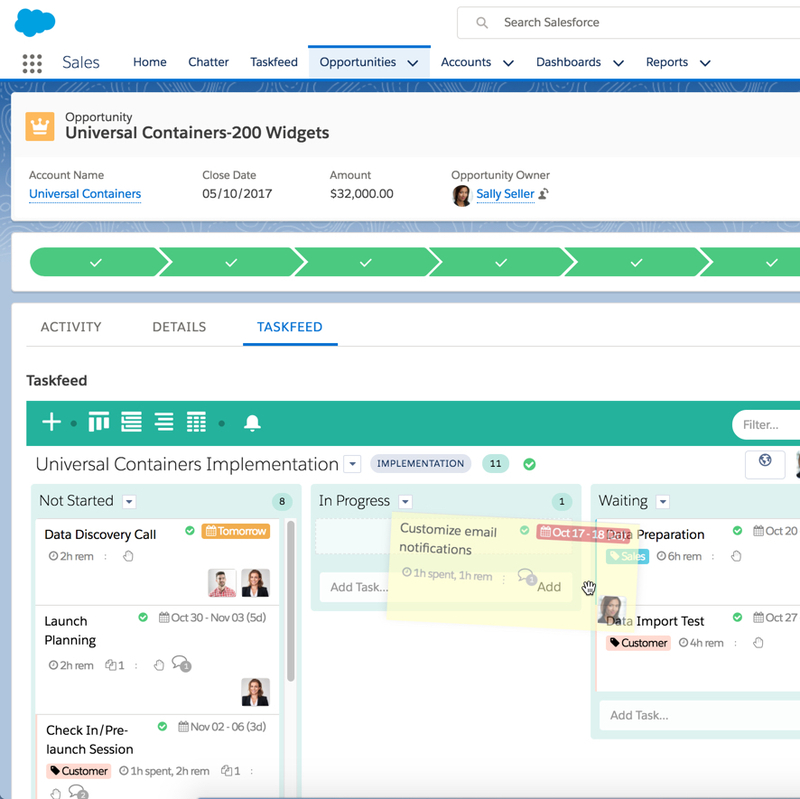 This means you extend Taskfeed using the same capability your use to customize Salesforce, including creating custom fields, workflow, automation and much more. 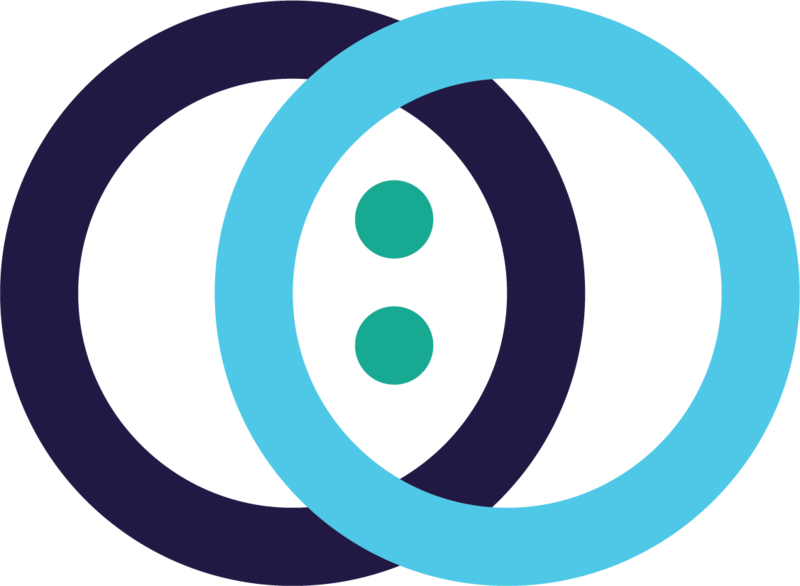 As Taskfeed runs on the Salesforce platform you can trust that your data is safe, secure and available.